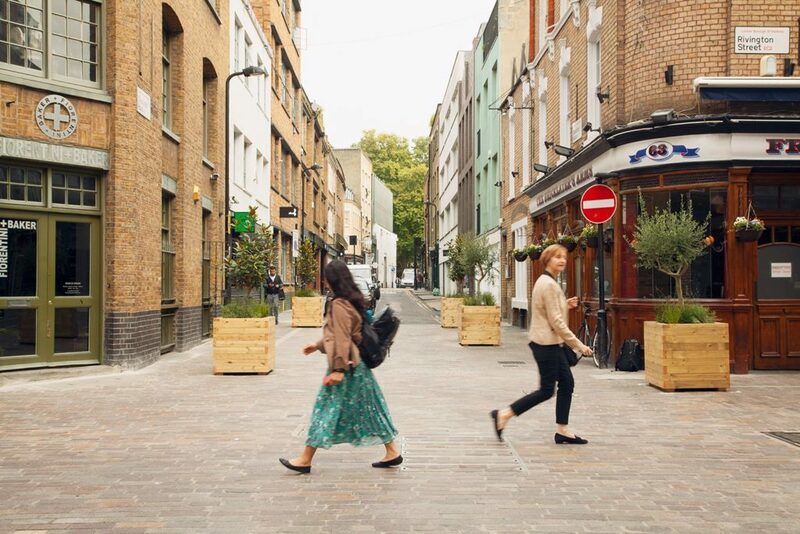 The built environment must be adapted to support last-mile delivery services and reduce the number of freight movements through our cities, writes Sarah Wixey, associate director, WYG. On April 8, London will be introducing the World’s first Ultra Low Emission Zone (ULEZ). In 2020, this will be followed by a succession of Clean Air Zones (CAZ) in five other major cities: Birmingham, Leeds, Derby, Nottingham and Southampton, and the UK’s first Zero Emission Zone (ZEZ) in Oxford. All these schemes will result in tighter emission restrictions on some vehicles and journey types. This opportunity provides cities with a chance to introduce a variety of measures to address air quality including: traffic management, access restrictions, vehicle scrappage, retrofitting pre-Euro VI vehicles, fleet recognition schemes, delivery and servicing plans, and daily charges for non-compliant vehicles. The jury is currently out as to which option – ULEZ, CAZ (charging v. non-charging) or ZEZ – will produce the most effective results. But one thing is for certain: encouraging a switch to low carbon vehicles alone will not address the main issue, namely congestion. If the UK is to meet its emissions targets and improve air quality, people will all have to make changes to current lifestyles by lowering levels of vehicle ownership and usage. This applies to both private cars as well as delivery and servicing vehicles. Attitudes towards private car use are changing and this is evident in the growing number of car-sharing, ride-sharing, and bike-sharing schemes in major cities. The success of these shared mobility and Mobility as a Service (MaaS) schemes is encouraging. But they need to be adapted and scaled up to meet the needs of delivery and servicing operators. Last October, Bosch announced its plans to team up with Toom hardware stores in Germany to launch their own electric van-sharing service, which people can hire to transport their bulky purchases. Why is Bosch doing this? German cities are banning (not charging) older diesel vehicles and this is hastening the switch to electric vehicles. Another example, closer to home, is the new (electric) van sharing scheme that was launched in Brixton on Electric Avenue a few weeks ago. Market stall owners and local shopkeepers are encouraged to sign up to Zipcar’s van scheme. With the demand for freight transport and van numbers growing, it’s time for MaaS providers to work more closely with the freight industry to develop new schemes. Granted, this won’t be suitable for every van user, but as the average load factor of last-mile delivery vehicles in major cities is 30-50%, it should be considered. Could a MaaS scheme also work for service engineers or operators of HGVs? In the case of the former, maybe, but for the latter, it’s unlikely due to the nature of the goods that are transported. Mobility Service Hubs are another tool available to cities to help lower vehicle usage. Bremen and Hamburg have created hubs that combine multiple modes of transportation together in one physical location. They typically include carshare stations, bike parking, wayfinding, and universal fare payment via a single smartcard or mobile app. Analysis of Bremen’s hub in 2017 suggested 290 carshare cars removed more than 4,200 privately owned cars from the road. Designers of future hubs should also factor in space for users to pick up and drop off goods, host unattended delivery lockers or a concierge scheme plus space for electric vans, charging infrastructure, and cargo bikes. Integrated facilities for people and freight are needed. Cities and other landowners need to safeguard land for last-mile delivery depots and construction consolidation centres. Micro depots are not new; Gnewt Cargo initially operated its all electric vehicle delivery business from a multi-storey carpark and railway arches for many years. Last November, DPD opened its first all-electric depot in a disused building and that was the start of their London-wide micro-distribution network. As delivery restrictions in cities become tougher, we are likely to see more examples of different suppliers, some of whom are competing with one another, but cooperating to ship their products together via a single shipper. Examples like these show how the built environment can be adapted to support last-mile delivery services and reduce the number of freight movements through better use of consolidated trips. Looking forward, city planners, developers, and logistics firms will need to continue to work in partnership to create spaces that encourage more last-mile deliveries by walking porters, cargo bikes, and zero emission-capable vehicles. When designing plans for zero-emission streets or locations for electric charging infrastructure, logistics providers need to be consulted at the earliest opportunity as their experiences of using streets will be very different from other user groups. Lastly, one quick win to tackle congestion is to ban the term ‘FREE Delivery’. There is no such thing as a free delivery. Someone somewhere is paying the price, and not just the financial cost.